Want a discount? Become a member by purchasing the required membership, or log in if you are a member. Attachment theory holds tremendous potential in the case of conceptualization and treatment of various forms of psychopathology, including childhood problems, relationship conflicts, chronic depression, anxiety disorders, and more. 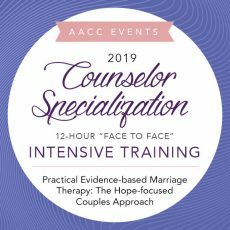 This intensive will explore the inherent power of the therapeutic relationship to literally change the brain’s chemistry, structure, and function. The role of various neurobiological systems will be identified, including the brainstem and vagal tone, sympathetic-parasympathetic balance, the limbic system (amygdala, hippocampus and septum), the prefrontal cortex, left vs. right hemisphere activation, mirror neurons, neural integration, and relational neuroplasticity. “Secure Base” Psychotherapy offers an attachment-informed system for assessment and treatment through establishing a curative relationship, navigating treatment resistance, and healing attachment wounds. 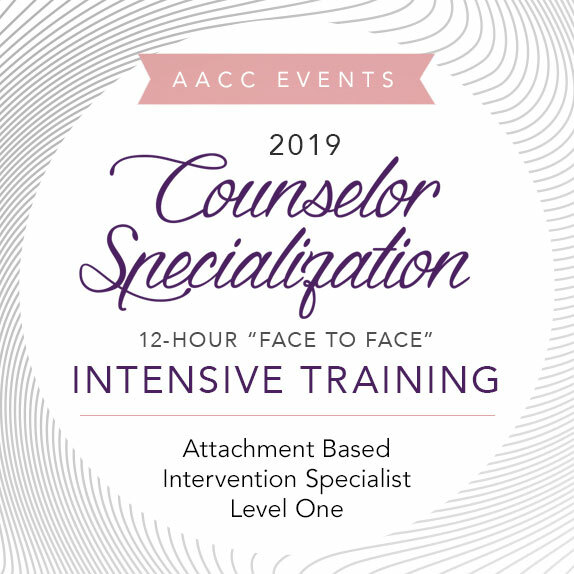 Attendees will learn how to accurately assess attachment, along with powerful, evidenced-based techniques, for processing strong attachment-related emotions, revising core attachment beliefs, developing emotion regulation and interpersonal effectiveness skills, breaking chronic patterns of withdrawal, isolation, hostility and addictions, and generalizing treatment results to situations and relationships outside of therapy. Role-plays and case studies will be used throughout. Specific attention will be given to Christian integration, as well as pertinent multicultural and ethical guidelines. Tim Clinton, Ed.D., LPC, LMFT (The College of William & Mary), is the President of the American Association of Christian Counselors (AACC), the largest and most diverse Christian counseling association in the world. Dr. Clinton also serves as the Executive Director of the James Dobson Family Institute and recurring co-host of “Dr. James Dobson’s Family Talk”, heard on nearly 1,400 radio outlets daily. Licensed as a Professional Counselor and as a Marriage and Family Therapist, Dr. Clinton is recognized as a world leader in mental health and relationship issues and spends much of his time working with Christian leaders and professional athletes. He has authored and edited nearly 30 books, including The Struggle is Real: How to Care for Mental and Relational Health Needs in the Church. Dr. Clinton is founder of the biennial AACC World Conference (which consistently hosts nearly 7,000 leaders representing all 50 states and close to 40 countries) at the Opryland Hotel in Nashville, Tennessee. He is also founder of Light University—a global leader in certificate, diploma, and mental health continuing education—enrolling nearly 300,000 students since its inception. He served at Liberty University for more than 30 years in numerous academic roles, including Vice Provost, Professor of Counseling, and Executive Director of the James C. Dobson Center for Child Development, Marriage and Family Studies. Dr. Clinton currently serves on the leadership committee for the President’s National Prayer Breakfast. He has been married 38 years to his wife, Julie, and together they have two children, Megan and Zach. In his free time, you’ll find him outdoors or at a game with his family and friends. Gary Sibcy, Ph.D., LCP (The Union Institute and University), is a professor in the Department of Counselor Education and Family Studies at Liberty University. His research has focused on interpersonal neurobiology and attachment theory and their clinical application to childhood disorders, personality disorders, trauma, chronic depression, and family development. In addition to coauthoring three books on attachment, he has published numerous book chapters and journal articles on a wide range of clinical issues in counseling, clinical psychology, developmental psychology, behavioral medicine, and interpersonal neurobiology. Dr. Sibcy is a Certified Cognitive Behavior Therapist and certified trainer for a new, multi-million-dollar NIMH funded, empirically supported treatment for Chronic Depression called, Cognitive Behavior Analysis System of Psychotherapy (CBASP). He is an internationally-recognized speaker, conducting trainings and workshops on CBASP and certification trainings on attachment-based interventions. Dr. Sibcy has produced numerous training videos on a wide range of clinical topics, clinical research methods, and interpersonal neurobiology. He is currently conducting research on a new treatment protocol for treating disruptive behavior disorders in children (Attachment-based Family Therapy for Children with Severe Emotion Dysregulation). Additionally, he has been in private clinical practice for the past 25 years (10 of which were as an LPC, LMFT). Dr. Sibcy currently practices at Piedmont Psychiatric Center, a private practice owned by Centra Health and Virginia Baptist Hospital. His practice includes treating children, adults, and families, and providing clinical training and supervision to masters and doctoral level students in clinical mental health and clinical psychology. He specializes in treating children with attachment disturbances, severe emotion dysregulation, ADHD, disruptive behaviors, and anxiety disorders. In adults, he specializes in anxiety disorders, OCD, PTSD, and chronic depression.